It’s early morning 1982 and you’re visiting your neighbors, and they offer you a cup of coffee. 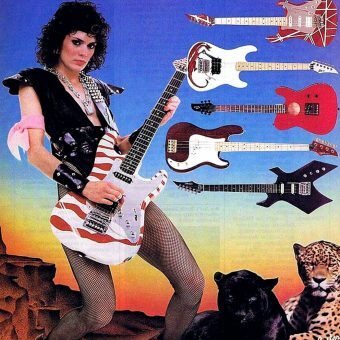 You know exactly what you’re going to get – it’s going to be a watery mug of Maxwell House or Folgers. End of story. It’s early morning 1982 and you’re visiting your neighbors, and they offer you a cup of coffee. 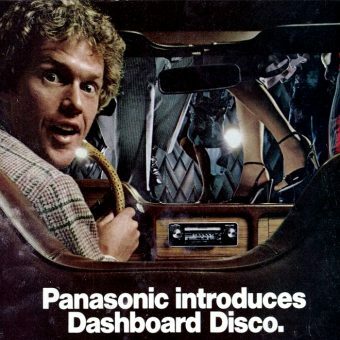 You know exactly what you’re going to get – it’s going to be a watery mug of Maxwell House or Folgers. End of story. Fast forward a few decades and the simple cup of coffee has gotten complicated. Now, we have the pods offering us a tapestry of tastes (none of them that good), gourmet brands, and a variety of coffee makers. At the coffee shop it’s even more complex, with a scroll of options. Sanka was the O.G. of decaffeinated coffee. It was started in Germany at the start of the twentieth century under the name Kaffee Handels-Aktien-Gesellschaft. 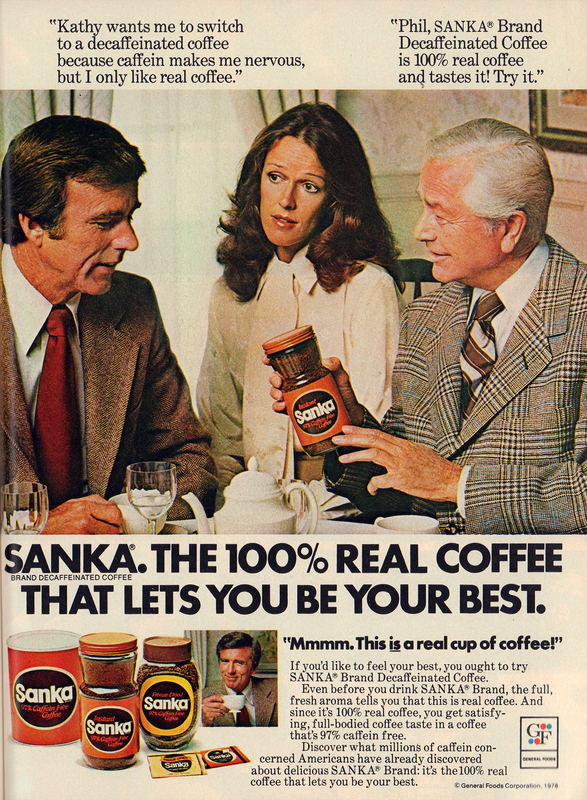 In France, it took the name Sanka – derived from “sans caféine” (“without caffeine”). 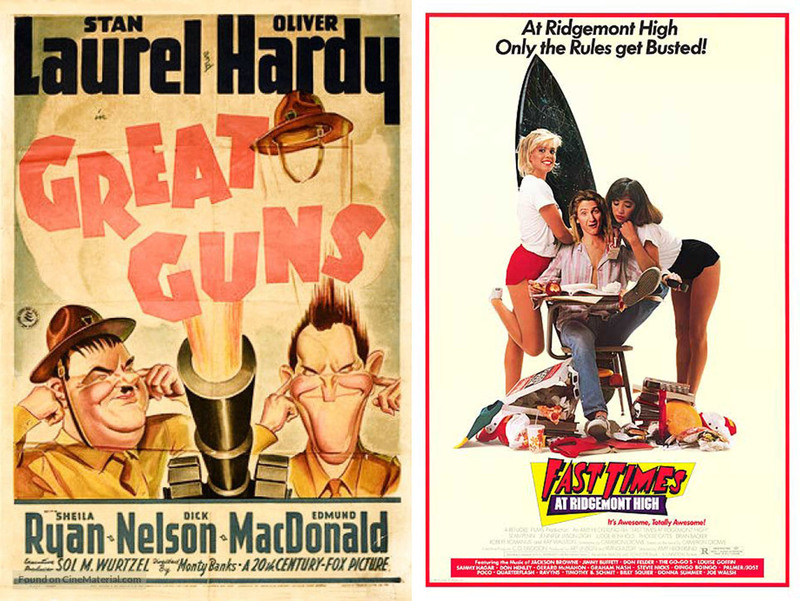 It didn’t really take off in the US until it hitched its wagon to a few hugely popular TV shows. 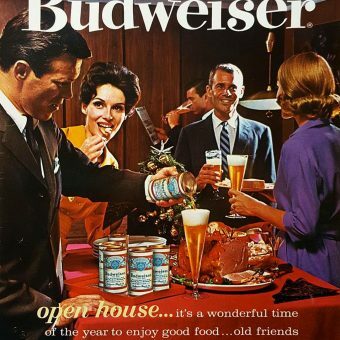 Sanka became sponsors of “I Love Lucy”, “The Twilight Zone” and “The Andy Griffith Show” – the bright orange can was now a part of American culture. I don’t know what a “decaffeinated person” is, and I’m not sure I want to find out. One thing that has changed from decades past is that coffee has become almost exclusively a morning “jolt”; whereas, a coffee after dinner used to be fairly commonplace. Many took decaf after dinner – and regular coffee was often just weaker and thereby less likely to keep you up at night. Of course, things were different in Europe. This article is from the perspective of the U.S., where “abnormal” coffee just wasn’t our thing until the late nineties. If your neighbor whipped out a French Press or something like that coffeepot above, it would be the shock of the century. 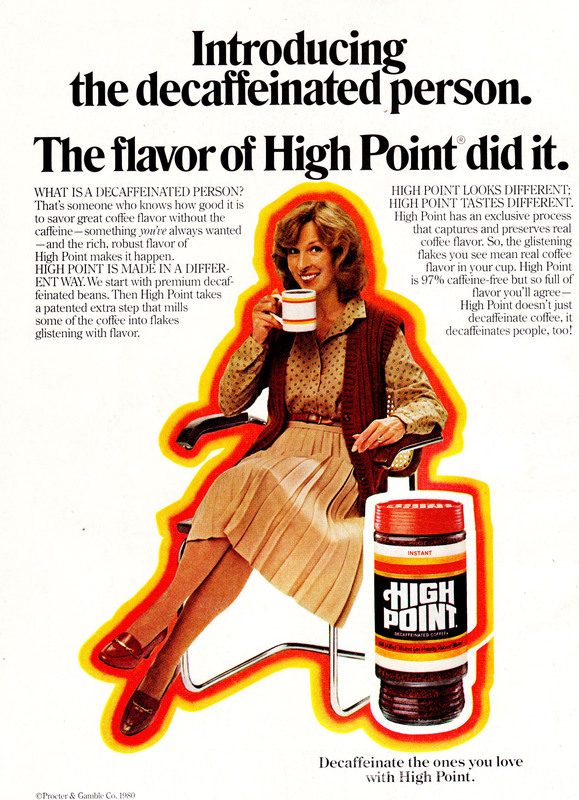 No, it was strictly Maxwell House or Foldger’s dripped in a boring Mr. Coffee coffeemaker. 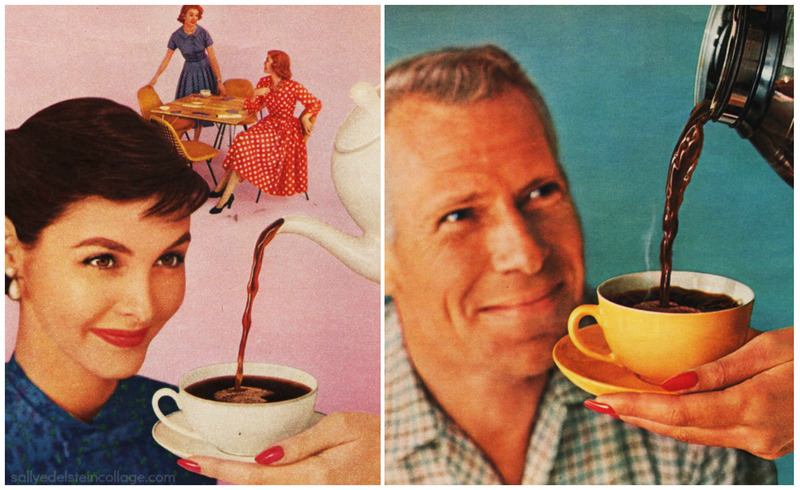 As this ad from 1972 illustrates, not everyone used the dull coffeepot with the same old cheap coffee; it was the seventies after all, where traditions were being thrown aside and people were choosing to “express themselves”. But it was the exception not the rule. 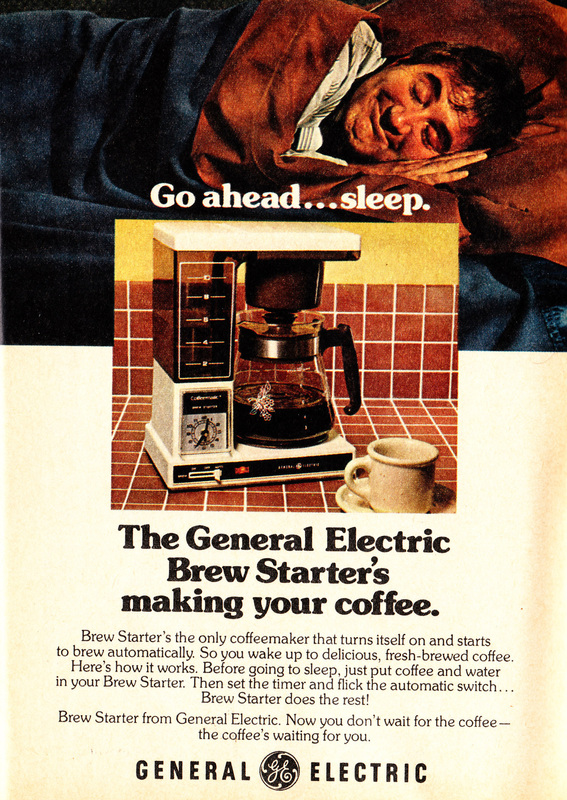 Would you believe you couldn’t put your coffee on a timer until the end of the 1970s? 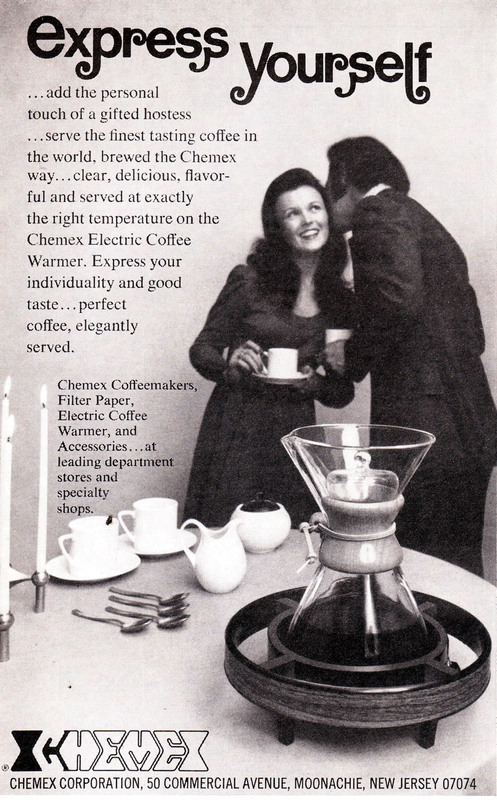 The affordable timed coffeemaker didn’t make its way into American kitchens until 1979. 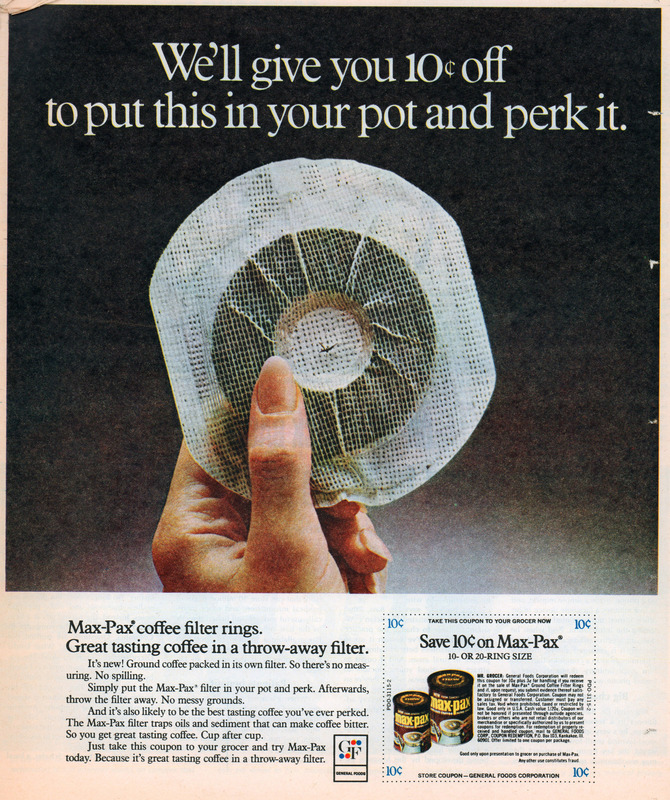 The Melitta Bentz Company patented the filter bag in 1937 and also vacuum packing in 1962. Indeed, the history of coffee in the twentieth century is basically the story of making coffee quicker. Of course, we have pods now which take much of the labor out (minus cleaning), but there have been numerous steps along the way, in humanity’s desperate quest to make a quick a cup of coffee. 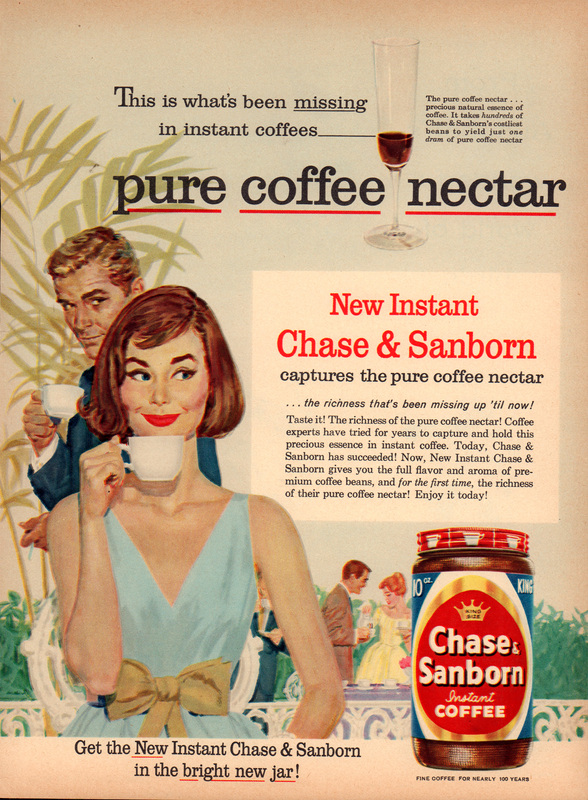 Perhaps most notably in this March of Progress is so-called “instant coffee”…. 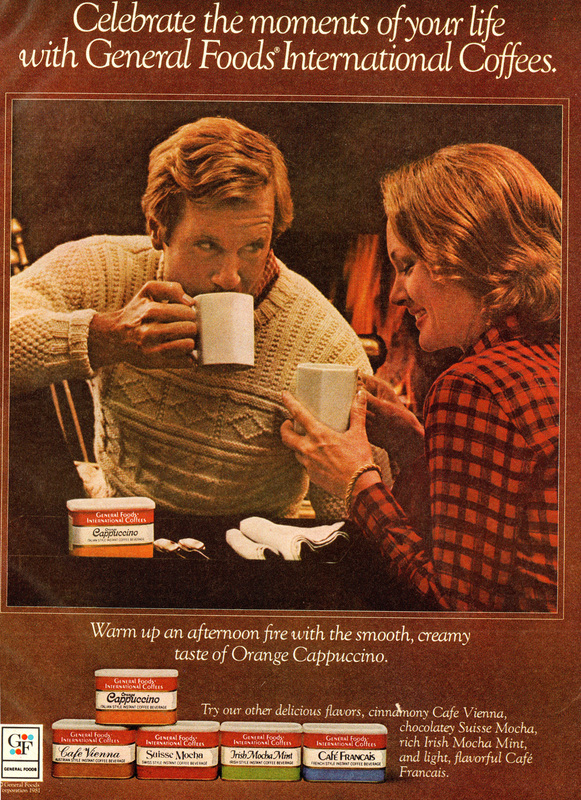 This General Foods International Coffee ad presents us with a variety of options including “Orange Cappuccino”. It’s gross, but at least they were trying to branch out. 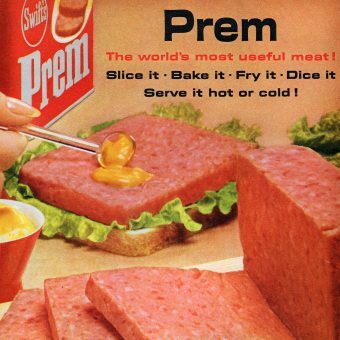 The main problem here is that it’s instant coffee – coffee that’s been freeze or spray dried. For some, the taste is intolerable (but those drinking from pods don’t have room to critique). This General Foods International Coffee from 1983 features Lea Thompson – just a couple years away from Back to the Future. 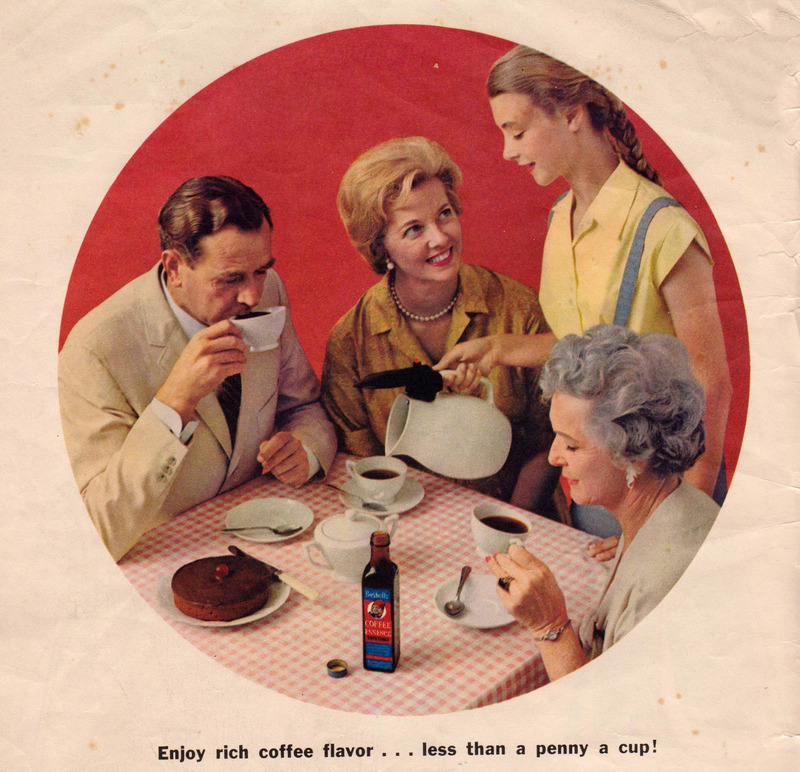 General Foods International Coffee wasn’t the first to make instant coffee – it had been around for a while. 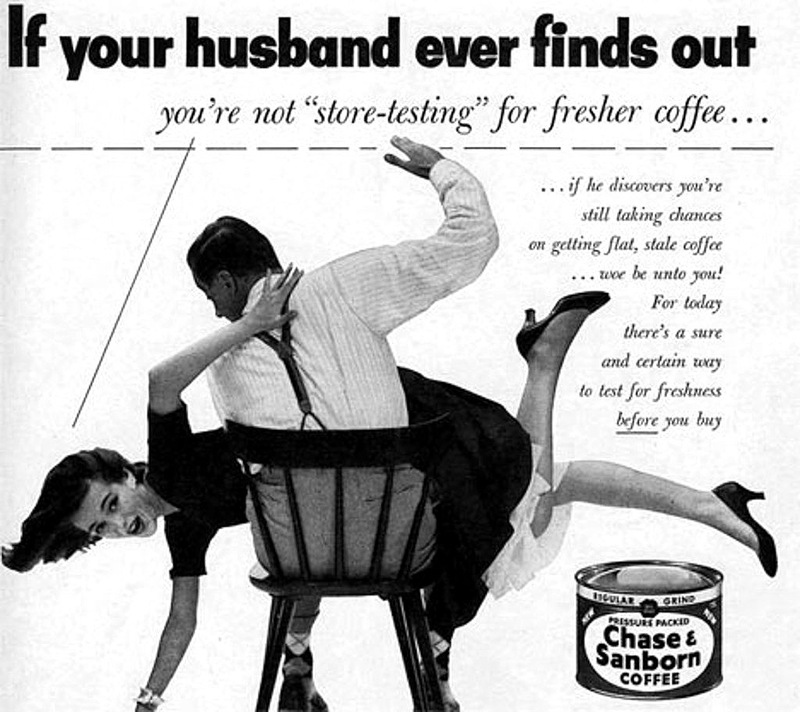 Nescafé had been putting out their instant grounds since 1938. In the 1980’s the Nescafé brand was largely replaced by their new branding “Tasters Choice”. 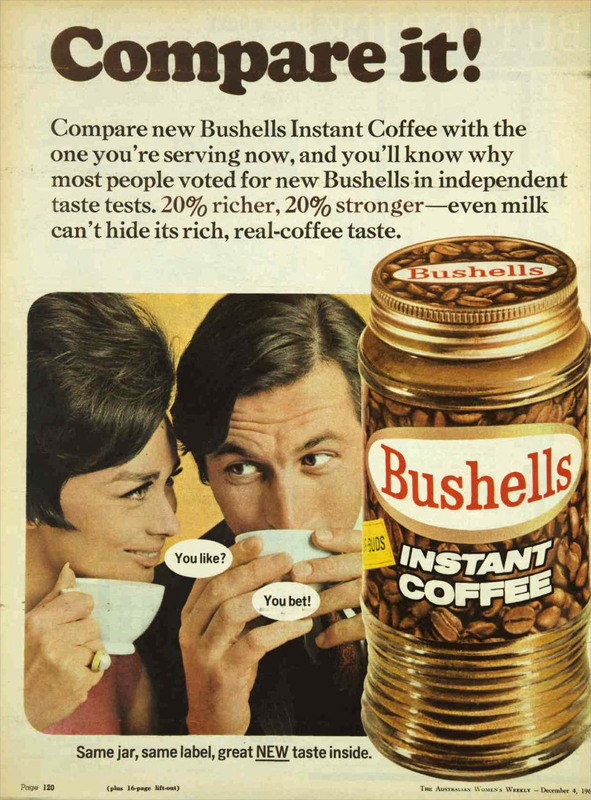 Anyone who remembers TV in the eighties can hardly forget the endless commercials for their new “sophisticated” instant coffee. Folgers began as the Pioneer Steam Coffee Company during the gold rush – offering the San Francisco area an alternative to having to start with green coffee beans. 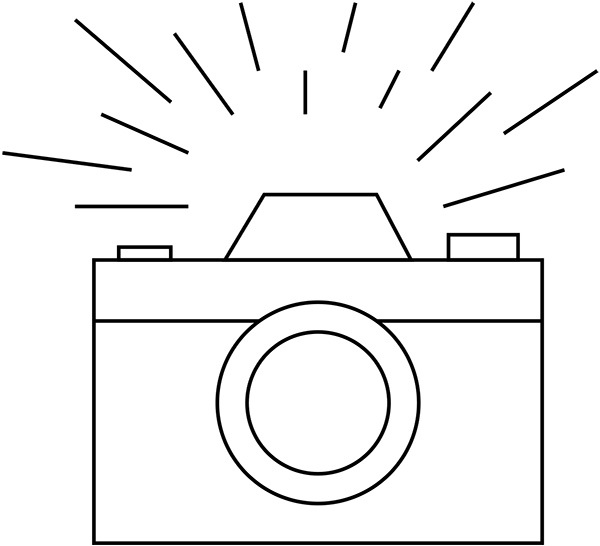 The carpenter hired to build the coffee mill was the humble James A. Folger. After working a number a years, he saved enough to buy a share of the company – and by 1872, he owned the whole damned thing and was on his way to building not mills, but a coffee empire! 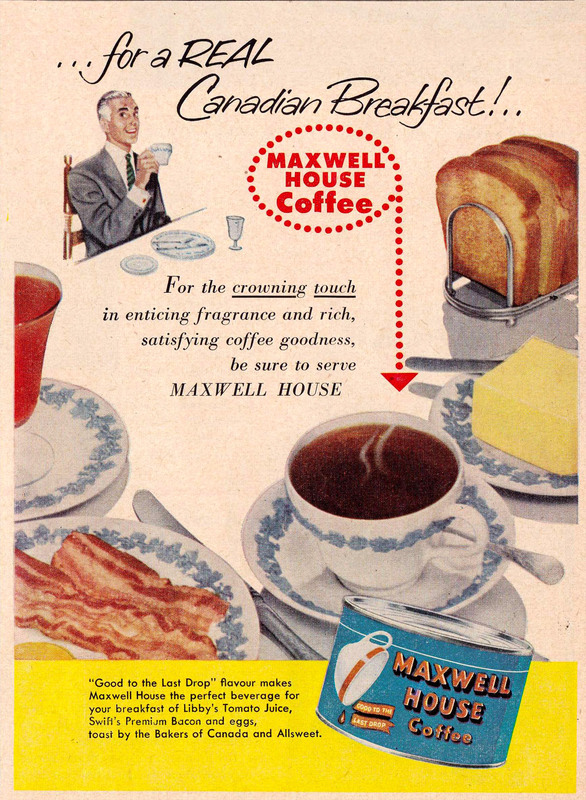 Maxwell House got its name from the quaint little hotel diner in Tennessee where the coffee was first served in 1892. It was a huge success; the former grocer, Joel Cheek, soon found his product to be the country’s largest coffee manufacturer. In 1915, they adopted the slogan “Good to the last drop”. They claimed the saying originated from President Teddy Roosevelt, but the legitimacy of that claim is a bit suspect. 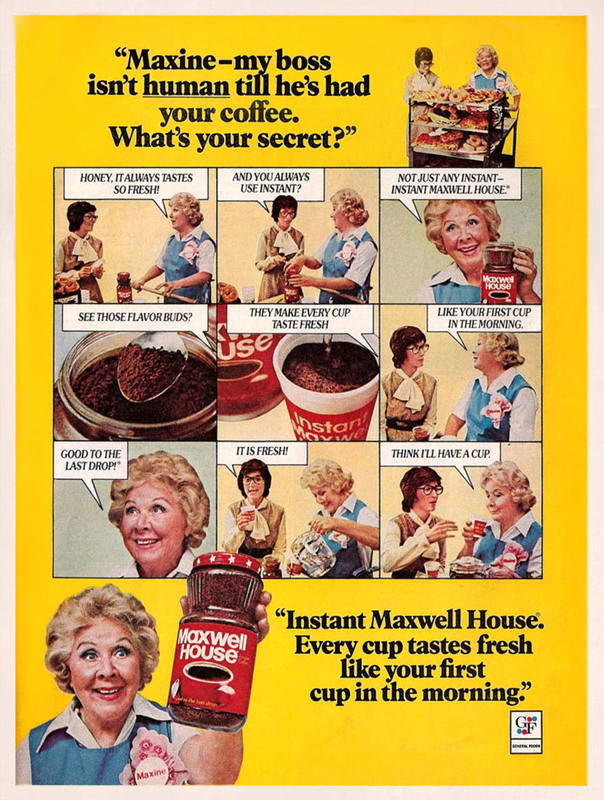 Naturally, Maxwell House ads were everywhere. In 1978 they used Margaret Hamilton (The Wicked Witch in ‘The Wizard of Oz’). We could go on forever reminiscing about the “olden days” of coffee and making comparisons to today where there is a Starbucks on every corner, and a hipster pretending to be a coffee expert in every café; but, we’ll take a much-needed coffee break until next time. Cheers.